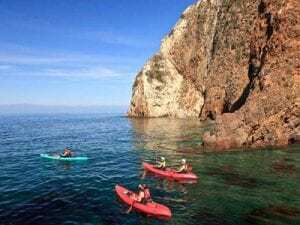 Planning a trip to Santa Cruz Island? You’ll want to know the Santa Cruz Island weather forecast. We have the latest Santa Cruz Island weather report from Weather Underground for you below. If you are wondering what to do on Santa Cruz Island, check out the NPS.gov site for lots of information. Scorpion Beach has the most water activities including snorkeling, kayaking, swimming and more.